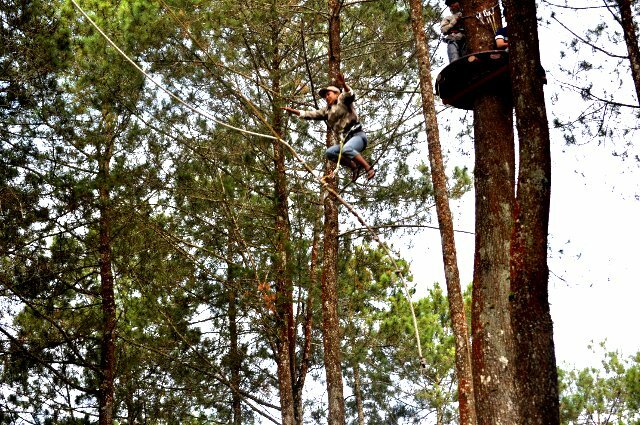 Adventure from tree to tree through the air. A different challenge. Bandung Treetop will strengthen your excuse to make Bandung Treetop as a new means to conduct company outing, and other special events. Bandung Treetop is a part of Treetop Adventure Park which spread all over the world and now more than 350 networks Adventure Park, starting from 1995 Treetop Adventure Park was first created in the French Alps, France, and in 2000 there were 45 fruit garden has been created in France, then in 2005 as many as 300 parks has spread in England, Spain, Italy, Switzerland, and Canada. In 2006, the park began to explore the Asia-Pacific in New Zealand, Australia, Singapore, Japan, and Bali. In 2010, we came in Bandung opportunity to be part of the network with the opening of the Adventure Park Bandung Treetop Adventure Park in Cikole, Bandung - West Java. 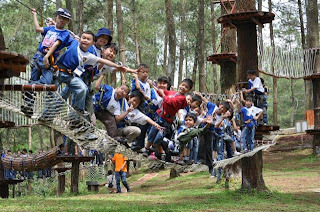 Experience the unique unforgettable sensation of flying like a bird , with Flying-fox crossing the challenges (glide from tree to tree another using the pulley) up to 160m in length from a height of up to 20m and running from tree to tree. 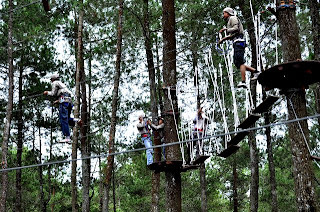 Each circuit has been designed in such a way that gradually the level of difficulty for adults and children (from ages 4th), with varying from 2m to 20m above the trees. 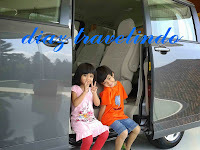 And you can do according to your rhythm and respective capabilities. 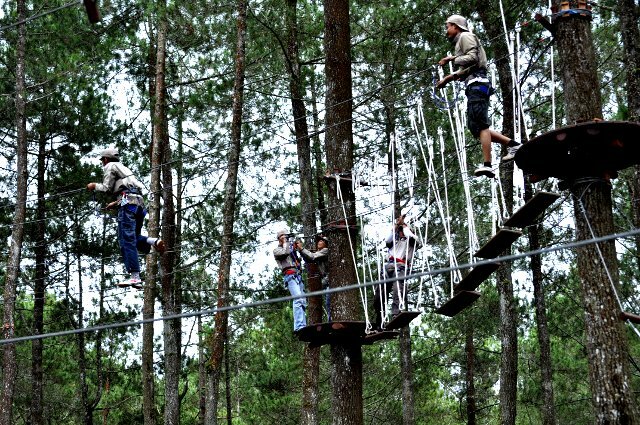 Challenges along the circuit throughout Bandung Treetop, you will be associated with the "life-line support" so your comfort will be assured.